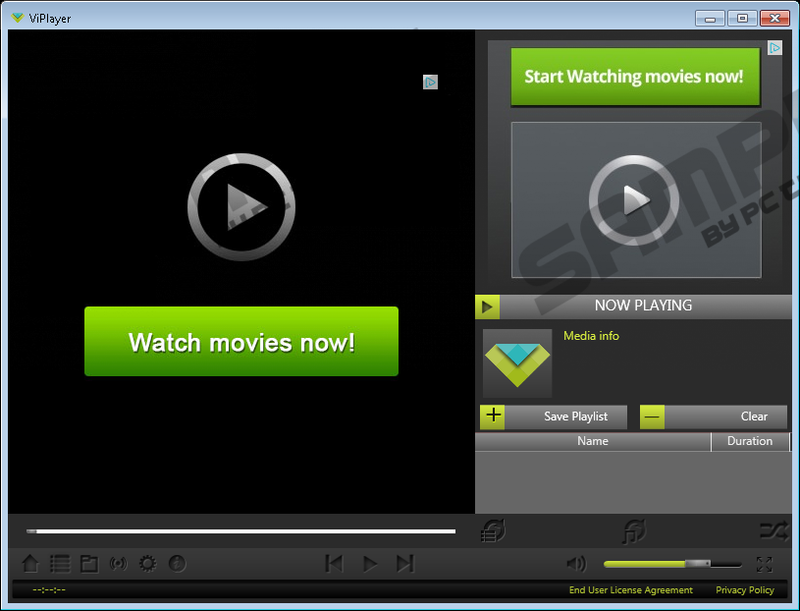 If you are looking for an application to improve your online video watching experience, make sure to avoid a program called ViPlayer because it has been found out that it is nothing more than your average adware program. Unfortunately, quite a few users might get their operating system infected with this intrusive application because it is advertised in a misleading way, to say the least. On its official websites, this ad-supported program is promoted as a tool that should help you with your online video watching experience by allowing you to create various playlists from different sources. It sounds great at first, but you must know that all this adware is capable of is causing various disruptions while you are browsing the web. Since ViPlayer does not hold any beneficial features, we strongly advise you to remove it. Use the removal guide that we provide below to achieve this task. As soon as ViPlayer enters your operating system your web browser will be almost instantly affected by this ad-supported program. It is worth noting that this adware affects major web browsers such as Google Chrome, Internet Explorer, and Mozilla Firefox, meaning that no user is entirely safe. Once the adware program is up and fully running it will fill your browser with unwanted third-party web content, which usually manifests itself as banner ads, coupons, and annoying pop-ups. All of such content is presented to you in a totally random way which is incredibly annoying and frustrating. At times, this adware could fill your browser up with so many ads that you might be forced each of it down just to be able to navigate through the web. It is not surprising that browsing the web the way you are used to will be virtually impossible as long as this ad-supported program is up and fully running on your operating system. To terminate this invasive activity, you will need to conduct a complete removal of ViPlayer as otherwise ads and pop-ups will continue to bother you. In order to avoid getting your PC with ViPlayer or any other questionable program, you need to take a few preventative steps. First of all we strongly advise you to learn about the application that you wish to have before even downloading it because not only ViPlayer is promoted in a misleading way. Then you need to avoid all third-party download websites since they provide software bundles, which are infamous for being the primary source of questionable programs. Lastly, but most importantly make sure to implement a professional antimalware tool as such a tool would warn you about any questionable programs or websites beforehand while providing overall system security at all times. The removal procedure should be executed as soon as possible because in some cases ViPlayer could be used as a security breach by other Internet-based infections to enter your operating system in a quick way. This is the reason it is paramount to delete very single bit of ViPlayer. In order to be sure that not a single file or registry entry linked to this adware is active on your PC make sure to scan your PC with a professional antimalware tool once the manual removal is executed. Right-click ViPlayer and select the Uninstall option. Quick & tested solution for ViPlayer removal.